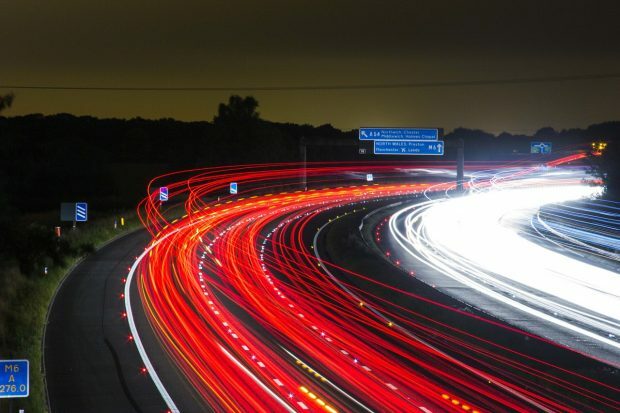 The Future of Mobility strand of the government’s Industrial Strategy is driving a profound change in how we move people, goods and services around our towns and cities.In November 2017, the government unveiled its long-awaited Industrial Strategy aimed at increasing the country’s productivity and earning power through four ‘Grand Challenges’ – the Future of Mobility, Artificial Intelligence and data, Clean Growth, and meeting the needs of an ageing society.The future economy will depend on our ability to move people and goods more effectively, and significant changes are already underway in how we travel.HS2 and improvements across the rail sector will provide a vital component in ensuring people have greater access to areas of work where earning power is increasing.New technologies, such as zero emission vehicles, are also key to improving transport, making it safer, cleaner and better connected. This will not only improve the air we breathe and support the shift to clean growth, but also help us make the most of new economic opportunities. Driverless cars are gaining widespread media attention, thanks to this technology’s potential to mimic and surpass human sensory and intelligence performance. The strategy could offer the support needed to overcome key limitations in the intelligence of the vision systems required to detect and differentiate objects in real time with greater accuracy than a human.D-Day for diesel engines is now widely accepted as 2040, meaning there is an enormous amount of work needed to find better sources of energy for our transportation sector and core industries.Our future energy mix should incorporate more renewable energy and, at the same time, support the growth of electrification across all transport sectors. Universities have the potential to play a key civic role in delivering the strategy’s objectives and overcoming the challenges it has identified by bringing together researchers, graduates, business and government. This role has clearly been recognised given the level of funding and support that has been allocated – including an increase in research funding to 2.4% of GDP by 2027. As part of the government’s £4.7 billion increase in research and development over the next four years, the Industrial Strategy Challenge Fund will provide £725 million towards research collaborations with business. A further £300 million has been pledged to Knowledge Transfer Partnerships and PhD programmes aligned to the grand challenges. In addition, the Strategic Priorities Fund will deliver parts of the Industrial Strategy that would be otherwise missed by the existing funding priorities of UK Research and Innovation (UKRI). This will focus on multidisciplinary and inter-disciplinary research programmes, as identified by academics and industry. The education sector as a whole can support businesses in achieving the goals set out in the Industrial Strategy. The University of Derby is already working hard to support local industry in addressing the challenges and opportunities in the city. Our Institute for Innovation in Sustainable Engineering (IISE) is collaborating with industrial partners through Knowledge Transfer Partnerships, funding, expertise and technology to unlock innovation potential and solve some of the challenges the region’s small businesses are facing. My name is Jeffrey Martin Keen. have to go through life and question what is my purpose? Why am I here? They will know and knowing is what takes fear out of the equation. I don't know who to ask for help... This time in my life is probably the hardest and most crucial time for me. I never thought in a million years that my work or literature would have made an impact but somehow someway made it and different organizations and businesses are using my work as a platform or blue print and even a thesis statement to ensure the quality of their business is made abroad and directives towards customer satisfaction. The bar has been raised and we now have a standard of excellence. Please help me in any way possible. I want to save my house from foreclosure and I need help with my business and I want to give my children the life they deserve. I have a 14 year old son who is so brilliant and smart and I have a beautiful 3 year old little girl who loves me like I'm her hero. I want to marry this love of my life and she deserves the very best because she loved me when I was lost and broken. I pray someone hears me. I am in need of a miracle! It may not seem like a whole lot to ask for but it's everything to me. I am so humble and have a big heart for people and my circle of friends and family all think I'm crazy when I tell them about my accomplishments across the web. It doesn't matter if the world was against me because I have a dream and it's worth sharing to the world because it will change lives. I have an extraordinary gifts and talents and have been granted more chances to live and to whom much is given much is required. I give nothing but my absolute best and that's true value. I have so much to offer and give. I just need a helping hand to get me and my family through this. I am responsible for creating source codes through Microsoft and GitHub. I've designed the platform in illustrative text of our future cities of how the technology of Autonomation and the aid with Artificial Intelligence with the collaboration of human interaction will help reshape our future and societies. I submitted this work to BMW and they are using this as the blue print for the future technology. I was verified for many of these things February 22 and I'm overwhelmed as well as awestruck!! I never knew the impact was going to be as big as it is and by the Grace of God people has grasped the concept and believes in the work I submitted. I am so humble and thankful to have made a difference. I don't know how long this process will take or how much longer I have to fight to survive my own challenges. It's a race against time and ultimately would buy back time in more ways than one. I have a dream to have a fascility that engages in the heart of family lives and to challenge the parent and children to create bonds and strengthen their relationships and influence making memories. It's a state of the art fascility that offers the very best of staff and activities to make the journey an experience of a lifetime. Yes it is an awesome and challenging idea but it is soley designed to get to the heart and core of every individual and make them not just better but be their best. Because of people who care we can make this possible. This fascility will offer many activities like rock climbing, electric go carts, a rock concert stage for talent shows and in town concerts, a future clothing line industry which I'm trying to get off the ground as well, a production studio for individuals who want to make music or videos and receive sponsorships for patents, and a skate park that goes around the fascility that takes you around the world and out of this world as well using hight tech visual screen platforms and vividly displays a nuance of multimedia experience. This ideas sole purpose is to enlighten the individual regardless of age, race, gender, or Creed and inspire them , encourage, build, and give them resources to create and patent an idea so they can be successful. My clothing line industry is state of the art and is tailor made fit for any person. They go inside a booth and the computer scans them using 3D laser capabilities and reads the weight and height so the clothes they design will fit. What is so special about this idea is that the clothes can be designed with multifabric capabilities and you customize according to your likings. But there's more... You can make designed and words and patterns throughout ànd the next best thing is they light up! Programmable lights that are synchronized through Bluetooth to any device you are using and you become center stage. Not just to show up but to show out! Not just clothes that look cool but help you feel empowered! It's called Power Wear! I am in need of funds to get this production line in the works. I have submitted my idea with Davison but they are asking for $800 for development. I'm way over my head and so far behind! I believe in this so much that I will work until the work itself is finished. Please help me make this a reality and I can give my children a WOW moment as well as the people who will embrace this and change people's lives in all walks of life. This is my innovative approach to help because all lives matter and we can make a difference. Thank you.